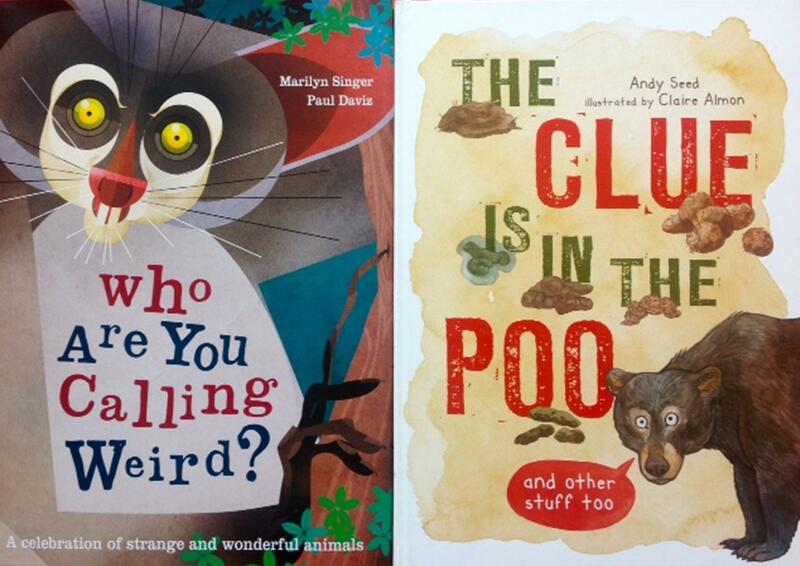 Two rather unusual and quirky wildlife books arrived at Discover Animals HQ this week – and we think they make the perfect half-term holiday read. The first takes a look at some of the weird and wonderful animals that inhabit our planet and explains that, even though they may look peculiar, each oddity serves a purpose. In a celebration of all things different, Who Are You Calling Weird? is hugely engaging and packed full of illuminating facts on each animals’ behaviour, diet and habitat. Learn all about the hairy frog fish and how it lures prey with its extra-long spine or the exotic pangolin and its sticky tongue -longer than its entire body! Other curious creatures are studied in detail, with some strange folk beliefs revealed alongside plenty of scientific facts. Our second book examines – in some revolting detail! – the sometimes funny and fascinating history of animal droppings. Kids will love to impress you with facts about faeces, from identifying bird droppings to how the blue whale can leave a plume of poo up to 20 metres long! This book for junior wildlife detectives is not only a guide to smelly deposits, but also offers really handy information on how to identify animal tracks and trails. From footprints and feathers to working out which animal remains were lunch for which predator, much can be learned about wildlife from the clues they leave behind.